19. 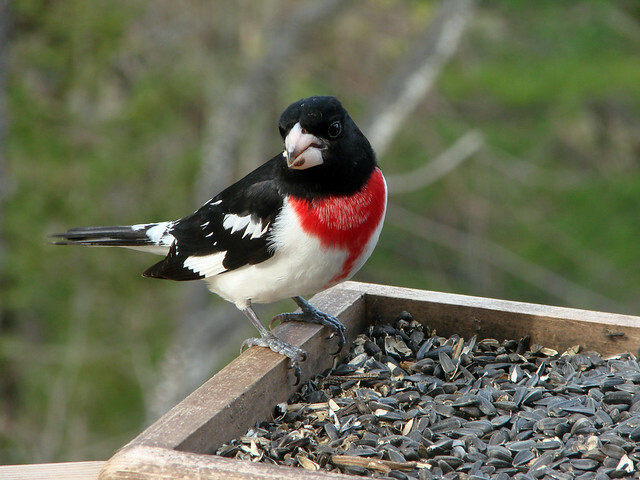 Identify and keep track of your backyard birds. The first step in enhancing your backyard habitat is to understand what plants and animals live in your area. I grew up in a blue-collar industrial suburb of Chicago. One morning when I was about seven years old, I looked out my upstairs bedroom window and saw dozens of tiny, colorful birds in the branches of a maple tree. Some were yellow and black and white’ one glowed with brilliant, flaming orange; one sported elegant bluish, black and white plumage; one had bright yellow cheeks and a black bib. Each one was different. They were exquisite—vivid and beautiful, much brighter and more exotic looking than the robins and sparrows I usually saw in my yard. My mother thought that they might be escaped canaries, but they were much more brilliant than my grandpa’s pet canaries. I imagined that these must be “angel birds,” resurrected from the heroic canaries that had sacrificed their lives to save the coal miners my grandpa had told me about. One by one they vanished. Never again did I see such an extraordinary sight, but the vision stayed in my mind and heart. About fifteen years later, I received my first field guide for Christmas. 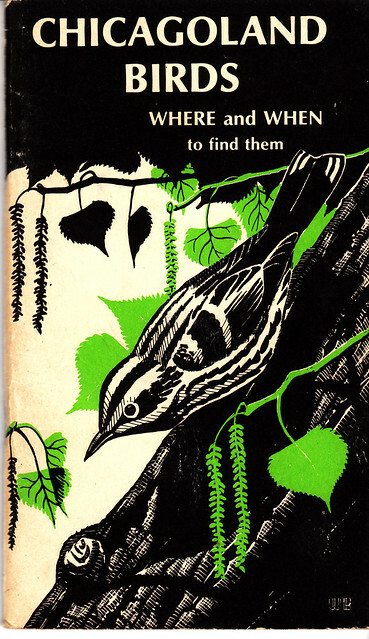 When I came to the “Wood Warbler” pages, there they were—those same angel birds, illustrated in full glory. 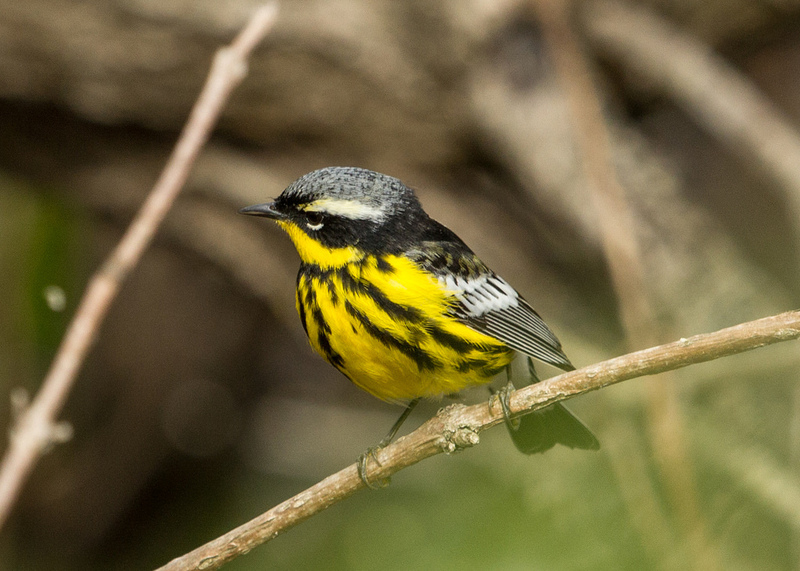 According to the maps, most of them didn’t breed in the Chicago area, but dozens of species had to pass through Chicago to get from their tropical wintering grounds to their breeding territories in the northern forests. Perusing the pages of the field guide, I saw a rainbow of birds that apparently ranged through the city, including Baltimore Orioles, Rose-breasted Grosbeaks, and Ruby-throated Hummingbirds. Of course, the maps were pretty general. These birds couldn’t live right in the city. Or could they? I soon bought the booklet, Chicagoland Birds: Where and When to Find Them, published by the Field Museum of Natural History, and was amazed at the possibilities. When my husband and I went back to visit our childhood neighborhood the next spring, there they were. 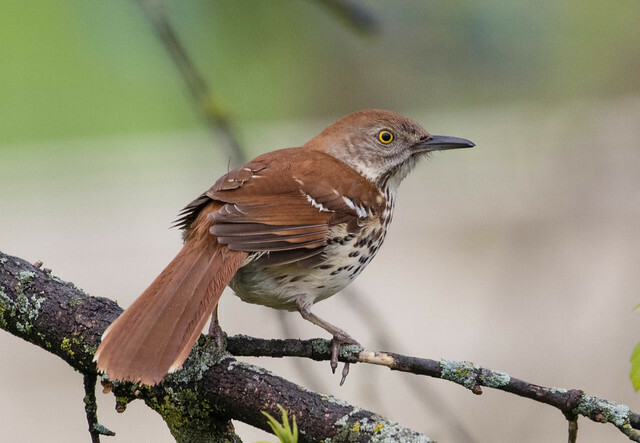 All manner of birds I’d never dreamed of were flying about on my block: catbirds and Brown Thrashers, Wood Thrushes and Scarlet Tanagers, and dozens of warblers in the trees. That little book opened my consciousness to a world I’d never imagined, yet it was the same world that had been there all along. For me, opening my first field guide was like Helen Keller’s revelation at the water pump. For the first time in my life, I was able to notice and appreciate the beauty and value of what had always been there. Learning about your local birds is a critical first step in helping them. Once you know which species could and should nest or winter in your geographic area and which pass through during migration, you can grow appropriate plants, set out appropriate bird feeders, and get involved with local issues that may affect local habitat and the birds that need it. 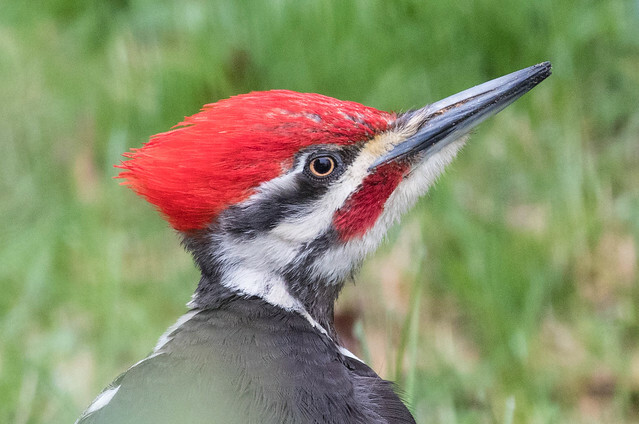 Paying close attention to neighborhood birds also helps you notice when their numbers change, and learning to recognize birds by sight and sound is an important first step in developing the expertise to help with surveys that keep tabs on avian populations. How do you identify birds and learn about the species in your neighborhood? A field guide and binoculars are the most important tools for a birder. You can get plenty of information about how to choose the right tools, how to use them to identify birds, and how to find organizations and other sources of information about birding in your state at the Cornell Lab of Ornithology’s Web site at www.birds.cornell.edu/programs/AllAboutBirds/. This site also has lots of information about each species, including their calls and songs, photos, and often video clips. The Lab has also developed many citizen science programs that allow you to put your growing skills to good use by helping to monitor bird populations. As you learn about your backyard birds, keep track of them. Start a “life list” of all the wild birds you identify, everywhere you find them. 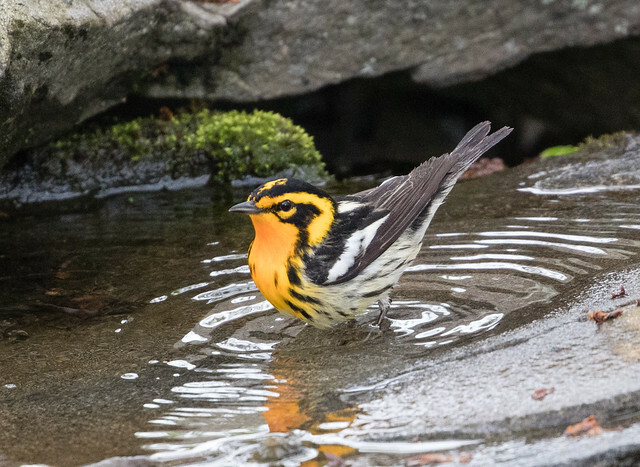 In addition to a life list, many birders keep separate lists divided by location, from their own backyards and favorite local parks to various counties, states, countries, and continents. Competitive birders follow specific rules developed by the American Birding Association so that they can compare their lists with those of other competitive birders. If you don’t care to submit your lists for comparison, you can set your own rules. The most interesting part of keeping any list is watching it grow. My own backyard list, which I’ve been working on for twenty-three years, has 162 species. I live on a major migration pathway, so my yard has some built-in advantages, but no matter how long or short your own backyard list is, every new bird brings a sense of pleasure and pride. As I always say, no one should go through life listlessly.